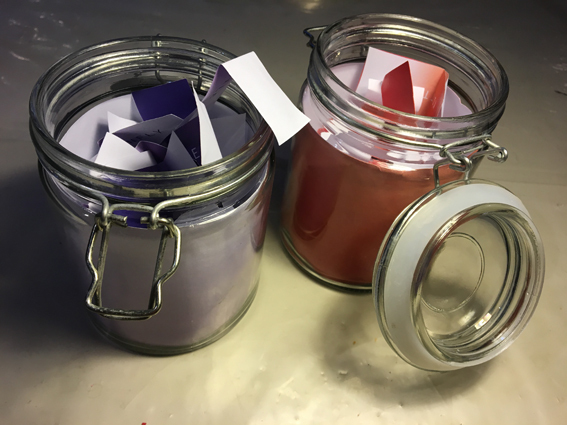 I made up two jars, one red and one blue. 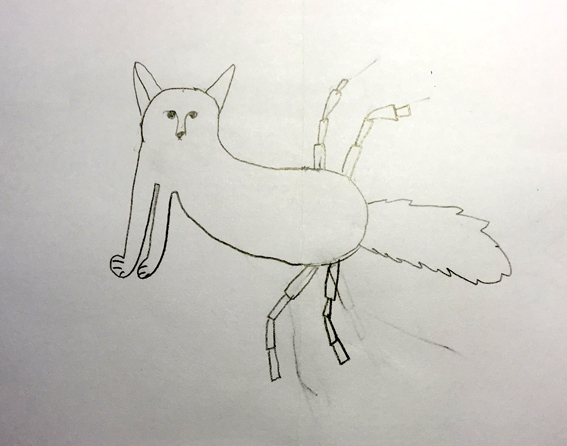 Each jar contained 20 or so labels with a different animal on each. 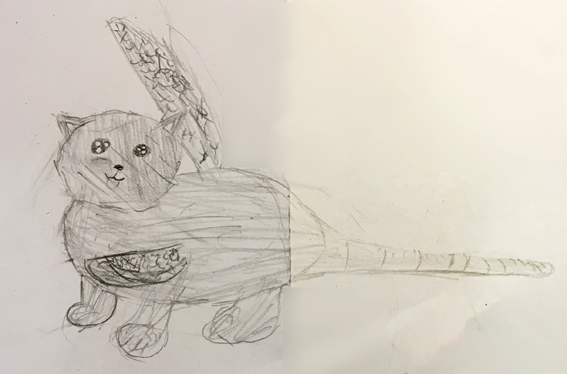 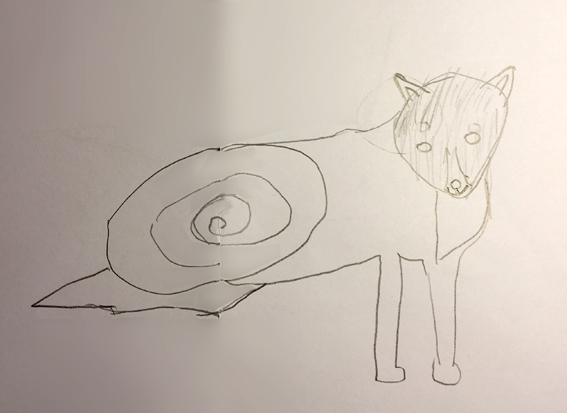 I asked the Farties to pick a mystery label from each jar, and using photographic reference, they had to combine the two animals in one drawing to create a whole new species. 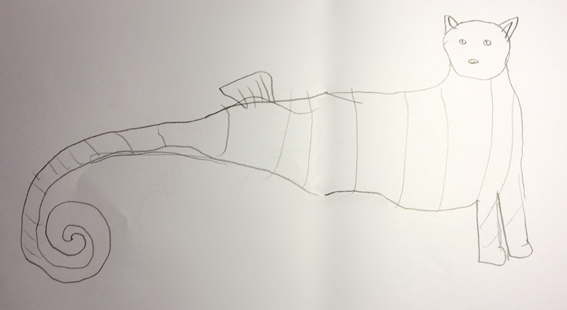 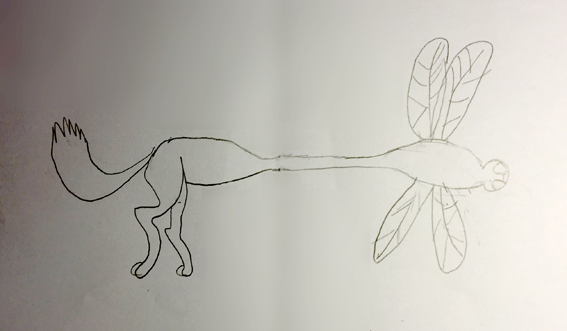 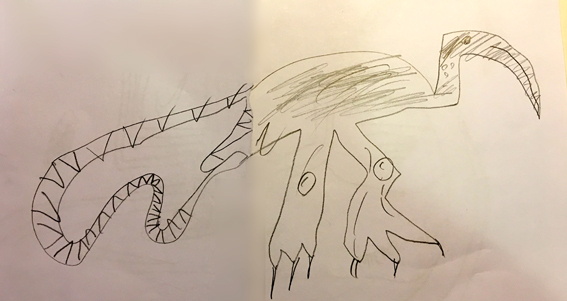 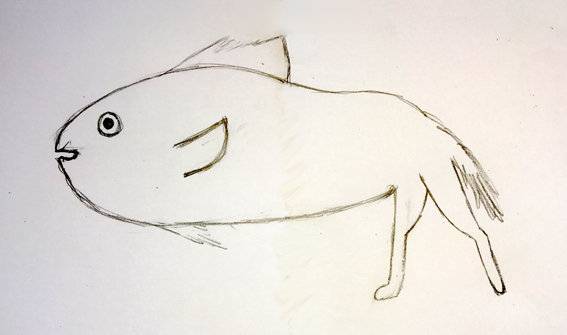 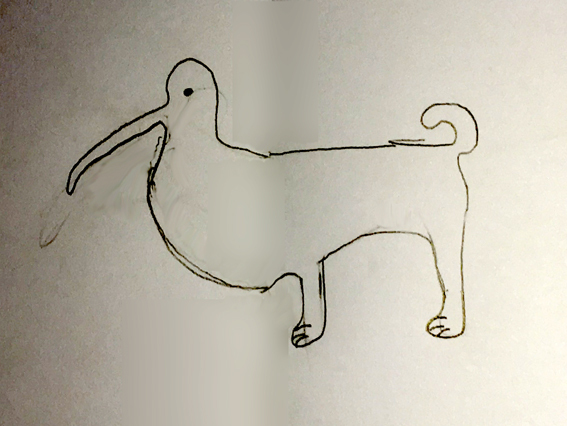 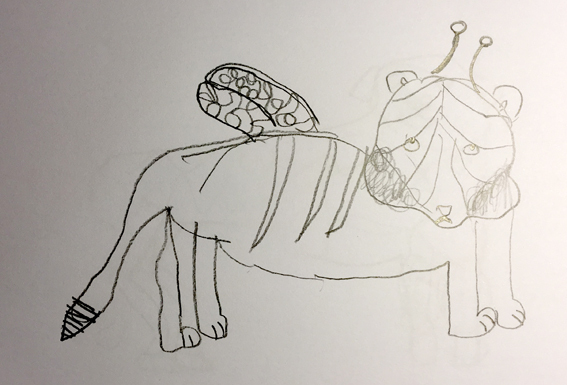 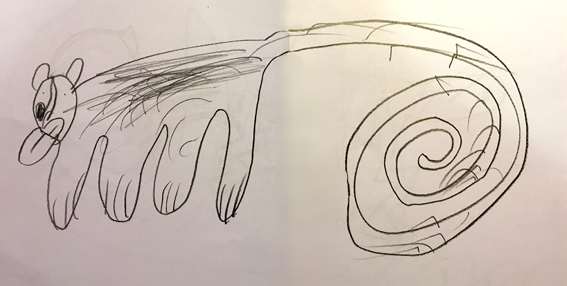 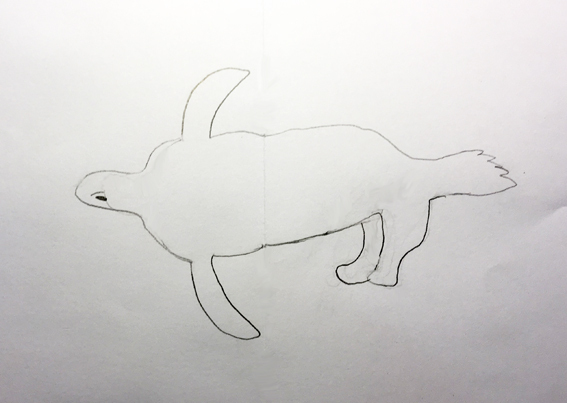 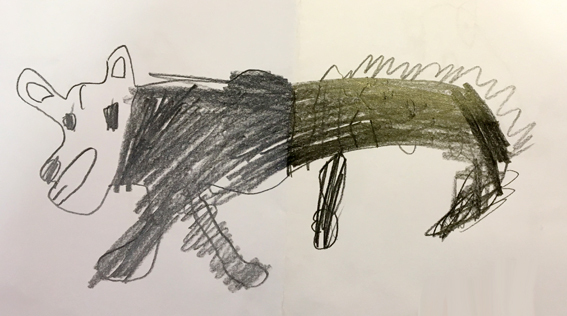 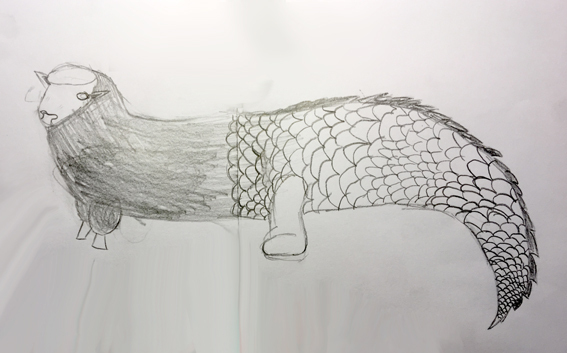 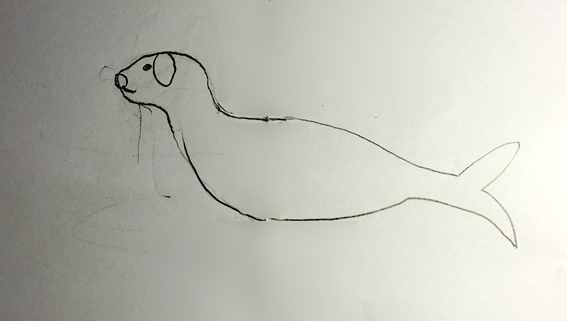 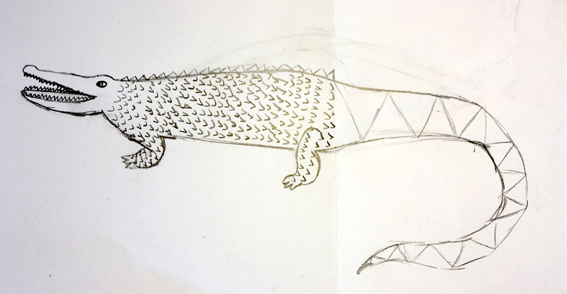 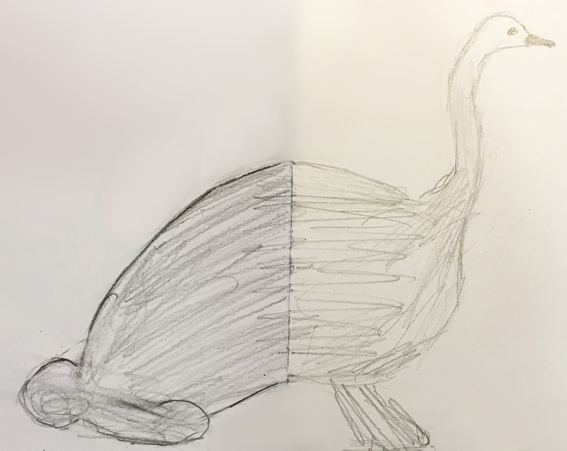 There’s only one rule: You have to draw the animal you get… no cheating!